CORTLAND COUNTY, N.Y. -- Attorney General Barbara D. Underwood today announced the guilty plea of Luke Park, owner of the Park Family Farm, for child labor violations related to the death of a 14-year-old boy in July 2015. Park pleaded guilty today in Cortland County Court before Justice Julie A. Campbell, to Endangering the Welfare of a Child, the Willful Failure to Pay a Contribution to the Unemployment Insurance Fund, and the Prohibited Employment of a Minor. The court ordered Mr. Park to return for sentencing on January 3, 2019. "This incident is a tragic reminder that child labor laws exist for a reason. My office will continue to prosecute to the fullest extent of the law anyone who puts a minor in harm's way," said Attorney General Underwood. The Attorney General indicted Park in November 2016, stemming from the July 2015 incident at the Park Family Farm, located at 3036 East River Road in Homer, New York. In today's plea allocution, Park admitted that Alex Smith, a 14-year-old boy, was killed while working on his dairy farm. The boy was operating a New Holland LS170 Skidloader with a hydraulic lift and fork attachment, which is explicitly prohibited by child labor laws, in an attempt to prepare bales of hay for cow feed. Park admitted that he found the boy's body pinned underneath the hydraulic lift and bale of hay, with the engine of the Skidloader still running. The medical examiner's autopsy concluded that the boy's chest and abdomen were crushed, resulting in his death by mechanical asphyxiation. In addition, Park admitted that he employed other minors on his dairy farm and required them to work approximately 60 hours a week, which exceeds the 48 hour per week maximum for 16- and 17-year-olds when school is not in session. Park also admitted that the majority of his employees were paid off-the-books, resulting in an underpayment in Unemployment Insurance Contributions amounting to approximately $10,500. "Of all the labor violations we see, those against children are some of the most abhorrent. 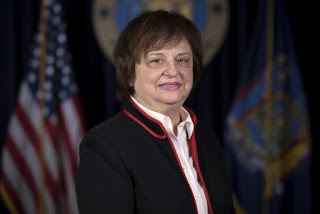 Endangering the welfare of New York's children by violating the labor laws is absolutely unacceptable," said NYS Commissioner of Labor Roberta Reardon. "Children are our most valuable asset and compliance with the Child Labor Law is not discretionary – it's mandatory." New York's Child Labor Law sets forth some of the strictest guidelines in the country on the employment of minors. The law sets forth safety guidelines with certain absolute prohibitions, including the operation of hydraulic lift machinery. The law also seeks to ensure that burdensome working hours do not interfere with a child's education. For example, minors that are 16- and 17-years old are limited to working no more than 28 hours in any week when school is in session, and 48 hours per week when on vacation or over the summer. The case was investigated by Attorney General Investigators Andrea Buttenschon, Mark Rudd, and Deputy Chief Investigator Jonathan Wood. The case is being prosecuted by Assistant Attorneys General Mark Sweeney, Peter DeLucia, and James Shoemaker of the Binghamton Regional Office, with the assistance of Labor Bureau Criminal Section Chief Richard Balletta and Assistant Attorney General Jeremy Pfetsch. The interim appeal of the indictment by the defendant was litigated by Assistant Attorney General Matthew B. Keller and Nikki Kowalski, Chief of Criminal Appeals & Federal Habeas Corpus. Stephanie Swenton, Criminal Enforcement and Financial Crimes Bureau Chief, and Margaret Garnett, Executive Deputy Attorney General for Criminal Justice, oversaw the prosecution. The case is being supervised by Labor Bureau Chief ReNika Moore, Executive Deputy Attorney General for Social Justice Matthew Colangelo, and Acting Executive Deputy Attorney General for Regional Offices Gary Brown.